Before going on to Tv and Movies.. Eva was a Norco High Cheerleader in 1981-1983. 4512 7889 Eva La Rue stars as the vivacious and brilliant Natalia Boa Vista on the CBS primetime series CSI:Miami. La Rue portrays this DNA Lab Specialist turned CSI with a knack for grant writing on the #1 Most Watched TV Show in the World. And TV Guide declared: �Natalia Boa Vista may be the sexiest federal grant writer television has ever had.� In 2008, La Rue appeared opposite Samuel L. Jackson on the big screen in the MGM thriller Lakeview Terrace. The DVD and Blu-Ray were released January 2009. La Rue earned an Emmy nomination and NAACP nomination for her long running portrayal of Dr. Maria Santos on the popular ABC daytime drama, All My Children where she played the quintessential heroine. For this role she also won the prestigious Gracie Award by the Foundation of American Women in Radio and Television as well as winning two highly-esteemed American Latino Media Association (ALMA) Awards. She received a second Emmy nomination for the song she co-wrote and performed on �All My Children� entitled Dance Again With You. In addition, La Rue starred in the highly-rated Lifetime Network film, �Cries in the Dark� and she had a recurring role as George�s sister on the ABC hit show �The George Lopez Show.� Other TV credits include recurring roles on the NBC series �Third Watch� and Showtime Network�s �Soul Food� as well as starring roles in �Danielle Steele�s Remembrance� and �A Dream In A Wish Your Heart Makes: The Annette Funicello Story.� Always known as charming, fun and fabulous, La Rue has guested on: The Early Show, Live With Regis & Kelly, The Late Late Show with Craig Ferguson, Rachael Ray and Chelsey Lately. Her hosting credits include stints as both Correspondent and Weekend Anchor for Extra! and as Co-Host for the Style! Network�s Modern Girls Guide to Life. Featured in countless magazine articles and on copious covers in America & around the world, La Rue appeared on the cover and was the centerpiece eleven page cover story for InStyle Weddings Winter 2009. Create a Norco High School memorial for an individual alum that has passed away. 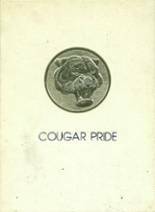 Even if alumni from Norco High School have moved away from Norco, California, they can use this site to find and contact high school friends. 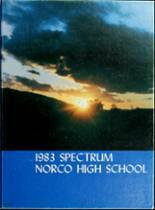 Norco High School alumni can relive their experiences from high school by sharing memories and pictures, reconnecting with those alumni listed, and more. If you are a former student of Norco High in Norco, California, register now to add your name. Michael Bell has someone searching for them. Casey Thomas has someone searching for them. Paul McKannon has someone searching for them. Oscar Aguilar has someone searching for them. Chelsea Baak registered as a NHS Class of 2005 alumni. Chelsea Baak updated her profile picture. Chelsea Baak added photos to their personal photo gallery. Jo Estes En registered as a NHS Class of 2016 alumni. Jo Estes En added photos to their personal photo gallery. Jo Estes En updated their profile picture. John Williams added photos to their personal photo gallery. John Williams registered as a NHS Class of 1990 alumni. John Williams updated his profile picture. Annette Wells added photos to their personal photo gallery. Annette Wells registered as a NHS alumni. Annette Wells updated their profile picture. Beth West updated her profile picture. Beth West added photos to their personal photo gallery. Beth West registered as a NHS Class of 1984 alumni. Terry Kantor updated his profile picture. Terry Kantor registered as a NHS Class of 1978 alumni. 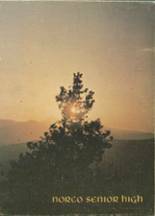 Terry Kantor added photos to their personal photo gallery.